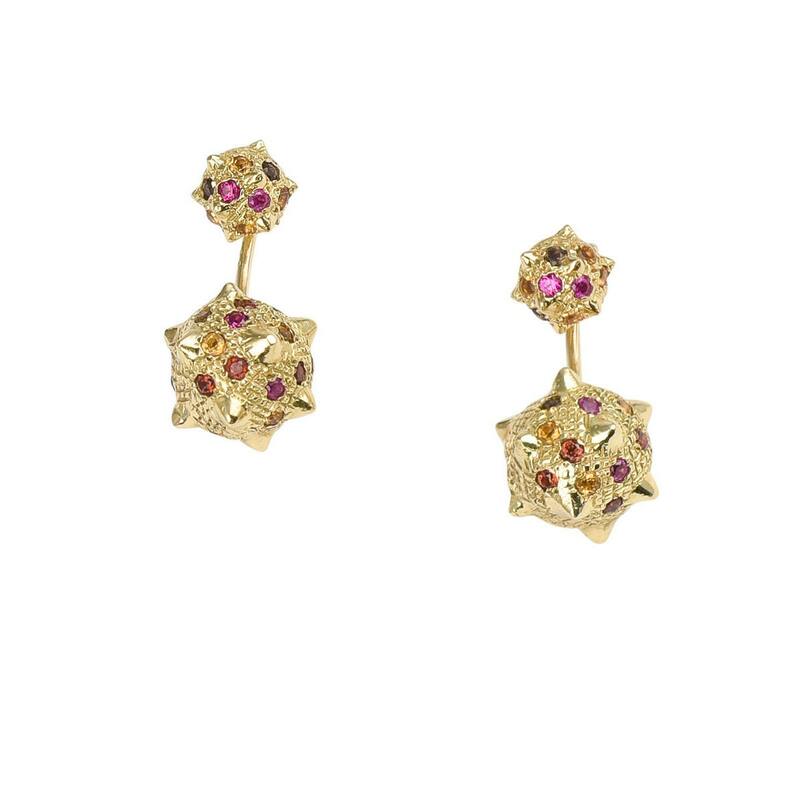 The Morning Star ear jackets are crafted from 18K yellow gold, hall marked in Cyprus. These impressive three piece ear jackets come in a highly polished finish and are set with a combination of coloured gemstones including Ruby 0,16 ct., Mandarin Garnet 0,28 ct., Madeira Citrine 0,28 ct. and Smoke Quarz 0,14 ct. The small Spiked Domes can be worn separately. They are part of the designer’s latest collection ‘Spiked’ that focuses on the Spike as an ancestral element and it’s use as an accessory for the protection of the most delicate life forms and the aversion of potential threats.